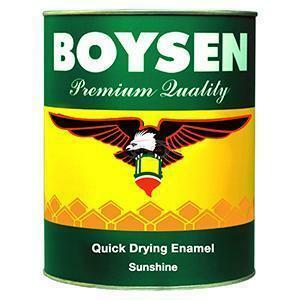 DESCRIPTION: Quick Drying Enamel is an alkyd type paint that provides great durability while being noted as a fast drying paint. It is formulated to give a tough, durable, beautiful and high build film on wood and metal. Its superior hiding, combined with an exceptionally high gloss level, leads to an excellent, long-lasting finished appearance. PRINCIPAL USES: Superior for exterior and interior wood and metal surfaces.